Build Your Own 1959 Ferrari 250 TR For Fun And Profit! But mostly fun. After all, if you can’t buy your dream car, why not make it yourself? 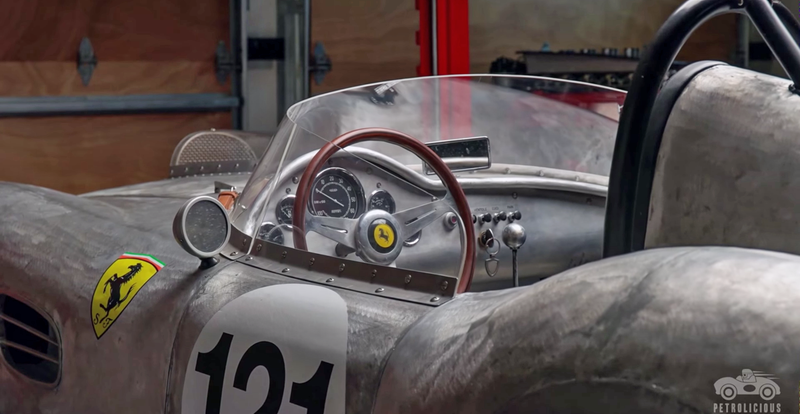 You have to admire the spirit of ingenuity in Peter Giacobbi, the subject of the latest Petrolicious video. He’s an expert fabricator and engineer, but even with those skills I’d say he went above and beyond to make his dream happen. His all-time favorite car is the Ferrari 250 TR, and those aren’t exactly in ready supply. So after securing a handmade aluminum body, he set about making all the components to go with it in exact detail. Granted, it doesn’t have a 3.0-liter V12, but it does have 400 horsepower and weighs a mere 2,300 pounds, so it’ll hustle. I’d say that’s one benefit on top of how amazing the rest of it is.